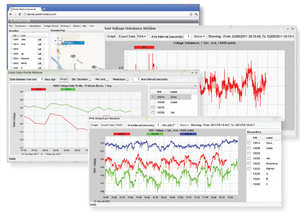 Get long-term reporting and real-time voltage measurements with PMI's Boomerang and Canvass system for successful Voltage Optimization. The Boomerang provides a complete DNP3 interface for seamless SCADA integration, while also working with the cloud-based Canvass system. The multiple Boomerang form factors, ease of use, and dual DNP3/ Canvass operation makes it well suited for CVR voltage sensing. The one second data provides valuable detailed information anywhere in the distribution network, stored indefinitely in Canvass. This data can be used to meet reporting requirements, to fine-tune and monitor CVR performance, and to provide email/ SMS alerts in case of problems.